"Best webinar platform I've used to date"
Crowdcast is very easy to setup, in terms of the account and also for each event. They offer extreme value for money, have awesome customer support, and the feature that my clients and audience love most is that there are no downloads they need to make in order to view. Another audience-side plus is that the URL for each event remains the same (if I'd like) so there's no need to hunt down emails to gain access. Not being to isolate screen sharing to a particular tab; but that also could be browser related. On a few occasions I wished that I could have a little more capacity to have others on-screen, but that's a minor wishlist item. Don't let the simplicity fool you into thinking that Crowdcast isn't a powerhouse contender, it really is! I've been using it for live demos and walk-throughs of software that have turned into booked consulting projects, so that benefit is revenue. Another use has been to hold client meetings, whether onboarding or monthly check-ins which is very beneficial because the client then has something to reference without necessarily needing to confer with me for quick recaps. "Crowdcast is a game changer"
I've used at least 6 different webinar platforms in the last few years on a quest to find one that offered a great user experience for both myself and the attendees. Crowdcast is it! I love the depth of the analytics, the interactivity of the platform, and the ability to provide attendees with a great learning experience. I also appreciate that Crowdcast has the ability to integrate with our CRM. This provides greater ease and better tracking of customer and subscriber date. My customers have said that they like the Q&A feature in Crowdcast. The only thing that comes to mind is the poll functionality. It's not really easy to use during a broadcast. I wish I could pre-load a couple of poll questions and then launch it as needed during the broadcast. The problem Crowdcast solves for my business is providing an integrated, stable, and reliable platform for webinars - both paid training and list-growth training. Because of Crowdcast's analytics we've been able to pinpoint strategies that are truly working and are able to multiply our results because of this. For instance, we consistently see 20% conversation on sign up pages for paid training and as high as 60% for free trainings. We bring in more high quality leads that turn into paid training customers and consulting clients. "Easy way to connect and provide value"
So far I'm quite happy with crowdcast. I've yet to find a downside, other than not having access to tech support during the weekend. That is usually when I do my webinars. So having some support then would be helpful. Allows me to both provide helpful content for my audience, and monetize it at the same time. I like that the webinars can be accessed later and I don't have host any of the content on my website. "Crowdcast saves hours of work for each webinar we run for clients"
We saved around 6 hours of work per webinar when we switched to crowdcast a couple years ago. Since then we've increased the frequency of webinars and grown our audience significantly. They are all about removing barriers and making it as simple as possible for both hosts and audience members, and then they provide amazing metrics we can use for our reporting. Crowdcast has been limited to Chrome for quite a while, and is not as useful for smaller meetings. Therefore we've had to use crowdcast for it's strengths which is to reach a larger audience. It's important to host a rehearsal webinar before starting your live event. Create a new event, login, and test out the features. The support docs and team are also really helpful. I've had some trouble with a microphone, or audio playback, but then I'm always able to fix it with Crowdcast's support. Right now it takes about 5 minutes to set up a new event and publish it to our audience. We start getting registrations immediately. The benefit is growing the audience with video and being part of a community of creators. "Crowdcast is the simplest and most comprehensive virtual event platform I have found"
My absolute favorite part of Crowdcast is the tight integration of video, chat, and Q&A. It is so simple for me, as an organizer, to invite presenters on screen and host a great session. Moderation is so straight-forward. I also like that questions composed in the chat window can be converted for use in the Q&A feature. I wish there were direct API access to the platform for creating and deleting events and registering/unregistering attendees. The current feature set is practically perfect in every way otherwise. I like to create private "Equipment Test" events for my guest presenters so I can give them a quick tour of using Crowdcast ahead of the public event. Usually I schedule these anywhere from a day to a week prior to the real event. Sometimes, due to presenter schedule, I have to run them same day at which point we just use the public event's green room. My entire business is virtual education events and Crowdcast provides practically everything I need in one tidy platform. It has made scheduling and running each of my monthly webinars and annual virtual conferences so much easier. My whole process is streamlined from where it was a year ago, all thanks to Crowdcast. "Super Easy Platform, Amazing Customer Service"
The platform is so user friendly. It's quite possibly the easiest platform I use for my business now. They have nailed it with making it accessible and easy to configure. And the staff has been excellent in getting questions answered immediately. Super impressed. Definitely a top rated company to do business with. They go above and beyond. Highly recommend. Haven't found anything that is notable yet. So many things... I can live stream on their platform and multi-stream to several others at the same time. They make growing my audience easy with their seamless interface that gracefully captures emails and names. Feels super professional and user friendly for my audience. They stay connected with my audience by emailing them every time I'm on live. And I have a professional page that stores all my events that people can purchase at a later date. So integrated on so many levels. "Well-designed software for hosting highly interactive webinars"
Here are my 4 favorite things about Crowdcast: (1) The registration page, the event page, and the recording page are all at the same URL. (2) Recordings are available almost immediately after the event. (3) It has great interactive capabilities, namely the chat and Q&A functionality. (4) Everything is nicely designed, so it's easy to get up and running. In the early days, the recording quality was not good enough, but it has gotten better over time. I've been using Crowdcast for years. They have continued to come out with new, innovative features without adding bloat to the product. The support has always been top-notch: quick, friendly, clear, and generous. I recommend it to everyone who asks! I need a way to teach highly interactive data science classes online, and Crowdcast provides that! My students have enjoyed using it, and it has also helped me to grow my audience. "One of the easiest and most beautiful webinar platforms"
It's so easy to use, I can recommend it to all of my clients, no matter how tech-savvy they are. It's beautifully designed, and feels like one of the most modern platforms out there. It has a nice FEEL to it. The lack of a need to download any software is also a huge benefit for participants. I have had problems with slight clicking sounds in the audio whenever I have exported the video/audio after events. The login system is sometimes confusing for older, less savvy participants. Limit of 4 people on screen. I've experienced trouble with people having trouble accessing or hearing the video in their browser, even on chrome. I love having an easy link to send someone to in order to join a training or group call. It saves me time, it's easy to use, and makes it easy to run group programs. The ease of use for host and consumer. We all like the chat feed and the video when live, communication is easy and nothing is missed. Worth the extra learning curve for ease of use for host and consumer. My members love the chat feed and the question box is so helpful to revisit questions with timestamps on replays. The fact that the registration, live feed and replay are all using the same link is an extra bonus! It makes it so easy to use and reduces chance of human error! Chatting easily to membership without the distractions that we get on Facebook. "Crowdcast is essential to my business!" I love that Crowdcast is easy to use and very reliable. It is one of the main components of my business and brings in most of my customers. Plus, their support is amazing! I don't like that when you create an event with multiple sessions that there are no notifications going out for each session and that the date and time stated for the event does always only show the first session. Try it! It's the best solution on the market today. I use Crowdcast to show potential customers how I work and what the process of my service looks like. I also use it to generate content to share on social media. "Great first experience with Crowdcast"
Fantastic, responsive support - when I had questions, the CEO joined the chat to answer them. Exactly the features I need. Easy to use, and super-intuitive too -- I was up and running in under 5 minutes. One of my best experiences with a web service ever. I make my living on Patreon and I wanted a fun way to connect with my patrons. Creating a livestream was super-intuitive and easy for me, and watching the livestream and using all the features was super-easy for my patrons. It has all the features I'd want-chat, voting on questions, time-stamping the answers, polls, being able to bring readers up on "stage" with me, nearly instant Rewatch for those who missed the livestream, downloadable emails. It was a great way to strengthen my relationships with my super-fans. "The platform and the Crowdcast Team are awesome!" Crowdcast has streamlined and simplified every part of the live stream process to multiple locations. Awesome and effective tool that builds and strengthens relationships. The only thing I dislike is having to pay :)... then I think about all the time Crowdcast saves me and remember how much value I receive. Just do the 2 week trial and see for yourself. Only bad thing is you'll have no more excuses to not go live anymore. Game On! My core audience and clients have been hundreds of miles away for almost 10 years, but is's so easy to jump on a Crowdcast to stay in touch, keep relationships strong, and keep projects moving forward..
"The best livestreaming platform for community building"
I love livestreaming but don't enjoy the middlemen who come between me and my audience, and control how we can connect. With Crowdcast I feel like they just enable me to connect directly with my people, and stay out of the way otherwise. Amazing! there was nothing remarkable about this software other than a shocking number of bugs, horrible product instability issues, and an unapologetic CEO who seems to be oblivious to these and other serious issues. crowdcast is extremely buggy. According to correspondence with Crowdcast's CEO, their database "locks up" from time to time when lots of people try to sign in, which makes it so that nobody can watch the live event. This seems like a pretty huge design flaw given that the purpose of this software is to host events with a few thousand people. We tried to stream our live event through this platform and received thousands of user complaints saying they couldn't access the livestream to the event. This software is supposed to do one thing (live casting of a video stream to thousands of people) and it fails miserably at doing that one thing. 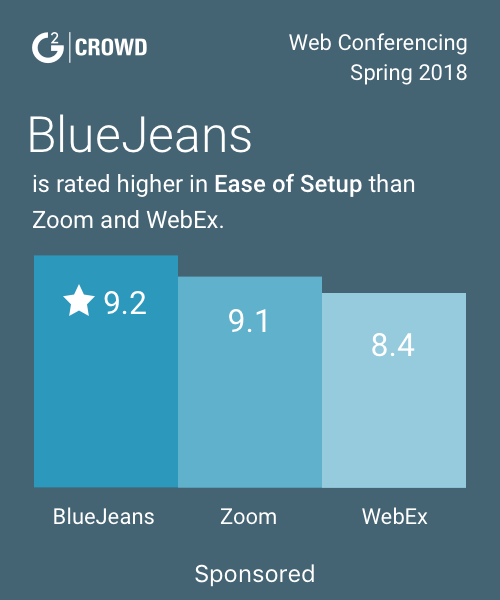 as this product doesn't scale to thousands of users, there isn't much benefit of using it above conventional web event software like gotomeeting, zoom, etc. We attempted to host a Facebook Advertising Summit event via crowdcast, on january 24th, there were around 14k sign ups with maybe 3k live attendees (we will never know the full number though, since crowdcast was down). It was a major event that our team spent a lot of time and effort to prepare. Immediately we were inundated with over a thousand support requests of users complaining that crowdcast was frozen. Approximately 25% of our sales resulted in returns due to technical issues with crowdcast. Users were very angry for having blocked off their day to access this content, but it wasn't streaming at all. Major issues persisted for the entire day, randomly booting users off the platform, and was overall a spectacular failure. If you have an important company event you are working on, and if you are OK with being completely sabotaged by crowdcast, then i suppose this is the software for you. "Hands down the best webinar software out there"
Crowdcast looks beautiful, it runs seamlessly, and there's never any issue. You can't say that about most webinar software out there. It's the only software I use, and I have tired a lot of webinar software. There's too much to worry about when running an online business, running your webinars that generate leads shouldn't be among them. There's not much to dislike. The only issue I have is that Safari can be a real pain. I'm educating and building strong relationships with my audience. I'm running live workshops and webinars and it's been a great way for me to build my business. Crowdcast has some great features like embedding in various web environments, Call to Action sales option when live, 'green room' speaker preparation area and a Q&A option that includes being able to timestamp the relevant video location of the discussion. Currently limited to 4 speakers on screen at any time. Crowdcast has enabled us to stream live into our digital community solution rather than needing a separate landing link, keeping the community focused within our main digital solution - the onsales we've achieved from the live Call to Action button has more than paid for the reasonable Crowdcast fees! "the most user-friendly webinar broadcasting platform"
I've always appreciated Crowdcast's attractive user interface, for both the host and viewers. The built-in "prepare to go live" features make it super easy to test my equipment before going live, so I'm way less stressed! I also appreciate that I don't have to upgrade to a premium membership to be able to download the opt-in list. I use it as a platform to deliver value to my followers through guest interviews, as well as to sell my live retreat programs using a basic powerpoint and talking through the retreat experience. Me encanta CrowdCast, usualmente soy parte de webinars de diseño y tecnología con mi equipo de trabajo, me encanta poder generar ese feedback inmediato mediante el chat, poder tener preguntas destacadas y poder votar por ellas para que sean respondidas al instante, las videoconferencias con CrowdCast son mucho más amigables. Que no tiene una versión free de un en vivo. Me gustaría que haya aunque sea un vídeo de prueba gratis para así llegar a que más personas vivan la experiencia de CrowdCast. Totalmente online, no tienes que descargar extensiones o instaladores. Las reuniones, seminarios ya son online, a veces expositores no se encuentran en el mismo lugar físico pero con CrowdCast todos nos conectamos. When I talk to Crowdcast employees about tech issues, they don't use a script. They talk to me like a human being, and we work together to resolve issues, fast. My last webinar broadcast platform didn't even have a service component. Crowdcast is such a refreshing change. We have found nothing to dislike as of yet. Integrate your YouTube channel and Facebook Live videos with your events. We're finding people are returning to engage with our next webinar, when they didn't before, and we're getting more exposure because it's easier to schedule the next event. "Found new tools needed for webinars"
Crowdcast has a fresh interface that appealing for attendees and functional for hosts. The ability to provide almost instant replays at the same URL is a big bonus. The video quality is also excellent. Getting panelists set up to broadcast is more complicated than it needs to be. I'm also disappointed with the ease of creating templates for doing the same kinds of webinars. Crowdcast offers a good registration experience for attendees, it runs in the browser without any special apps, and it provides high quality hosted replays. Support, integrity, effort. The Crowdcast platform is easy for someone to host, manage, and switch simultaneously, which makes you and your guests comfortable... and encourages engagement! The team provides great support, has clear goals in the roadmap, and puts effort into making it a better tool every day. Highly recommended. Slow to improve, bugs not totally sorted out before roll outs. Engagement can be improved with some notifications in the chat, and the service could use a private room for guests. We are solving engagement issues, and trying to get students to converse and work together almost as seamlessly as if they were in the same room together. Benefits are the instantaneous feel of the platform and the Web RTC technology; providing a faster way to engage. Crowdcast's video transmission quality is amazing. In other tools it's difficult to follow the cursor, but Crowdcast makes all movement extremely clear and easy to follow. This is a big one for us because viewers need to be able to see where I click in my screen shares. I also greatly appreciate the online availability, which makes the webinar available across multiple platforms without requiring extra downloads or call-ins. All viewers need is the website link and they're good to go. Crowdcast also does a great job in organizing the UI, also. It's clean and generally intuitive. Regarding features/functionality, I'm extremely thankful for the email option - being able to reach out to all attendees with a reminder or follow-up email has made organizing webinars much easier. I love that viewers can not only ask questions and suggest topics; they can also vote and comment on them. I also like the idea of the Poll feature, though I haven't made use of it yet. The Analytics feature gives great insight to our audience. Finally, the automatic recording of the webinar that's almost immediately available after the session is indispensable. People who were unable to make the webinar were able to access the recording quickly and easily. The biggest drawback to Crowdcast is that viewers need to register with an email login/password to view the webinar. This extra step is a deterrent to our audience, whom also are wary of creating new accounts and providing their emails to an unfamiliar source. The next issue we experienced with Crowdcast was that some of our viewers did not have a compatible browser (Chrome/Firefox/Microsoft Edge), and were unable to view the webinar. This is big point of improvement that we'd ask from Crowdcast. While I love the automatic session recordings, the quality isn't the greatest. This is understandable, but it would be great if they made a way to record the webinars in high definition so that all details are captured for our belated viewers. The final point of improvement I've suggested to Crowdcast is for more seamless screensharing - being able to switch from window to window without ending the screenshare completely - and presenter tools like pointers and drawing tools. Crowdcast's Analytics features has provided deep insight into our viewers and help us determine how to manage future webinars and other educational events. We're able to educate our customers on our product more efficiently, making them more adept at using our tool and saving our Support team and Onboarding/Training team a lot of time and helping customers be more successful. This has also been a great way to engage our customers and capture feedback quickly and en masse. Good integration with Patreon (my main source of income) and easy sharing options. Don't hesitate to reach out with questions. Excellent customer support. creating a reliable source for my patron only live streams (I had previously used YouTube and didn't care for that) and robust interface. I've expanded to use CC as the platform for my public facing FB live streams. "So Easy Even I can run Crowdcast Events!" I was looking for a platform to run group coaching events as it was the next step for scaling my business. I was a bit apprehensive as I'm not a tech person at all. I was so happy when I saw how easy it was to set up - the instructions are so user friendly and step by step I made my first event a reality. I'm now running them like a pro! Thanks Crowdcast. Can be tricky to get people on screen depending on what browser they're using, but we'll work that one out. I know that there's plenty of tech support with Crowdcast for any queries I have. Well worth trialling this product and reach out to the support team - they're very helpful. To scale my business I needed to be able to move from 1:1 coaching to 1:many group coaching and have people enjoy the benefits of interacting within a community of like-minded business owners. Crowdcast is perfect for that. "Crowdcast is such an amazing addition to my business!" First of all they are so personable, and always available to help out in any way at any point of learning, setting up, having your actual event, and even after too. The system makes things so easy, to taking payments or registrations, to automatically emailing the participants, to reminding them with the link to join, and the recording is available IMMEDIATELY after so there's nothing that needs to be done really but show up! That my laptop overheats even on googlechrome browser, and I have very high speed internet. And because it has to be on certain browsers, my students sometimes have issues getting on, or watching the replay. You have to try it to see how easy it can be, how high quality the video is, how the features help you stay in contact with your audience, and having the replay available to even download is just incredible! It saves me so much time. With Zoom I have to do so much myself, and then get the recording, and send it out, etc. And Crowdcast makes everything so easy! Also, having a call to action button is awesome, and the other features make it super fun and interactive for the participants. The functionality is beyond awesome. Everything you need and more. Excellent UI and UX too. Pricing can be a bit steep if you're doing something not for profit. Give it a try, they have a free trial that should work for small use cases, but as soon as you try it I'm confident you won't be looking back. We're building a community of professionals around our shared interests. "Crowdcast is a great choice!" I like that this doesn't require software. Nowadays there are so many different downloads that are required in order to do pretty much anything online. However, software isn't required here. That's one less thing that I'll have to worry about taking up my digital space. I also like that I don't have to setup a landing page on another site and that I can also allows users to have an easier way of attending my streams. They can follow me and then get notifications about when I'm having the next event. This will cut down on the time spent having to corral users each time there is another event. There is also a single link to sign up, attend, rewatch etc so it's easier on the user. There isn't really anything that I dislike but I do always think that everything can be improved. Nothing is entirely perfect, but at this time this platform ticks off pretty much all the boxes for me. It is more expensive than some of the other platforms out there and that can be a drawback for some. However, I think in this instance that the higher price point is there because you're getting a much better service. There is a free trial that is available so anyone with doubts can always test the waters first. An easy to ease video communication tool that doesn't require clunky software and can easily be used on different devices. There are features that are kept in-house like landing pages that make getting the word out about a given event easier. Users can also rewatch the stream a lot faster than on other video platforms where you may have a delay between the event and when it is available for rewatching/the initial stream. I don't currently use it but not because of a negative reason I just switched roles. "Does what it says - straightforward without hustle"
That it does what it says. It's a straightforward process both for me as the producer / presenter and for the audience. I also like that there is no download required. One thing that could improve: For paid webinars - giving my customers the option to choose between PayPal or Stripe payment. Also: I would love to offer affiliate commissions to people who forward my link. Educating my audience about the challenges that they really face versus the ones that they assume they face. Building trust and confidence so that people hire me as their coach. "My go-to live broadcasting software!" Every once in a while I experience I glitch with the video quality, but whenever this has happened customer service has been quick to help me resolve it. "Great live video sessions - Not so great value for money"
The live video quality is very smooth. It is much better than just doing a YouTube live or a Facebook Live video. It makes the connection with customers more unique. The price, that's really the only downside. The value is simply not there unless you have a big budget for this. Make sure you have a big enough budget before committing to anything! "The Best Webinar Provider Around"
Incredible support, up to date features, highly customisable and embeddable, always updating, highly effective, great analytics, well-priced plans. I love it all! There aren't any features that I can think of! A much better webinar solution than other providers we've tried (Zoom, GoToWebinar). Integration with other providers via Zapier, makes systemisation easy! "Best live streaming software for creative events"
Simple to setup just about any type of event, fantastic interface and quality streams. Also lots of features to make the attendee experience more engaging. I don't like that crowdcast also promote their events to your audience. Saving a lot of time and making it super simple to setup and run profitable events! I started using Crowdcast a couple of years ago and I've found it invaluable. I can't imagine running my business without it. Nothing at all. I'm really happy! Thank you! It's easy to set up free or paid trainings. I'm reaching more people and finding an additional income stream. "Multiple webinars, multiple time zones "
We have used the platform for a while, delivering a combination of webinars across multiple time zones as well as standalone projects. It’s easy to manage and we successfully ran an all day event using the platform, with multiple guest. Love the green room element. Still needs some work on sharing... difficult to use the platform standalone to promote your event. We are global... but run from U.K. and crowdcast has helped us extend reach, keep consistency and deliver a unified brand. Super easy to set up webinars. The chat and questions feature drives engagement. No need to download software. Can charge for paid events through the platform. Not having the ability to have a single landing page for recurring webinars. Simple to use platform that integrates with Convertkit, Zapier, and Stripe. Great way to hold training and interact with customers. Being able to deliver training and conduct interviews that serve my audience. That ability to reach more people with Facebook Live integrations. Crowdcast makes it incredibly easy to live stream to multiple services at the same time and as a result build community! Selecting different inputs and outputs from mics is not terribly easy. It provides an easy to use live streaming platform. "My #1 software for managing calls in my coaching program." Replays with timestamped questions and answers... such huge value to the students in my coaching program Launch and Thrive. Would love the HD to be a little better, but they've recently improved it so its great to see it improving all the time. if you want a way to manage your recorded webinars / classes, this is the best software you'll find. Organisation of content. No need to download video calls and upload to another software. Ease of use, quick availability of replay after event, ability to collect payment. Nothing yet, I really enjoy the platform. I love the level of automation. "Used for a short time in 2016 but opted for something else." I liked the marketing of it. Crowdcast was presented as a great tool for live events. I will say I also appreciated their fast, responsive customer service! I'm not sure if this changed but at the time I don't believe I was able to do some of the following things that I ultimately moved to Zoom for: download recordings and add multiple users. I will say that my experience is from 2016 and it looks like the company has grown more competitive since then, which is great! At the time I was looking for a solution for webinars for my business. Webinars to expose my brand to new audiences and current customers. "Some nice features but not enough value to keep"
I like the speed control and the player's ability to remove dead-air time. That's a great feature! You can't see any reviews, and the search function needs some work to make strong recommendations. If you know what podcasts you want to listen to, this is a great option. If you like to search for new ones, stick with iTunes podcast app. I wanted a player to help me navigate a lot of podcasts and consume a lot of material. It helped in some ways but didn't provide the full solution I needed. "Crowdcast an incredible tool for webinars and live broadcasting"
I like that we have the ability to now only run webinars, but we also have the ability to run live broadcasts to Facebook, YouTube and Periscope. Sometimes the software is glitchy and creates audio and video issues. We are able to run an almost daily show to an audience and broadcast it to the major social media platforms. It’s a huge value add to people who we are marketing to. "Easy to use, no bugs"
AS a user to view webinars, Crowdcast is easy to get into and get going. Settings are easy to find and generally, the interface is very intuitive. Occasionally there is a connection problem but I don't know if it's the software or the presenter's network. I'm enhancing my professional skills which will have and is already having many positive qualitative results. If love how easy it is for customers to join a webinar. That was our #1 feature requirement. It was a bit hard to understand how to get other people to join the green room. Ease of use for customers and prospects to sign up, get reminders and join. "Most user friendly platform I know for webcasts"
I like the user interface and user experience. Very simple for both the admin and user. Notifications also remind followers when a show is starting. Takes long for people to figure out where screenshare icon is. Really easy to use and get started. "A better alternative to most webinar platforms"
Can’t think of anything that would be universal for most other users. Our team has a very unique set of needs on a technical level and the team has given us good advice on how to overcome it using their platform. Building social community and very easy for gathering leads with Zapier integration. The Ask -a-Question is a unique and VERY good feature of Crowdcast. It doesn't yet have the ability to easily utilyze multiple cameras. I like the private text chat, ability to stream presentations, and the ability to chat and message. It's very easy to use and the support team is amazing! Not having a whiteboard! :( Also, implementing a HD version of the product would be amazing! I would also say easier access to the question box. It's a great tool for us to have virtual events! It's also a great tool to have webinars without employees having to travel to different conference rooms. It is a very clever tool. Its smartest features are things like being able to link questions with a timestamp on a broadcast, send out your stream to other places like Facebook Live or YouTube. The inability to talk via voice with the presenter, and the question box, and voting are hard to access. The software is being used for arranging & managing webinars. With Crowdcast, everything happens right in the browser and we can have over 30% more users. "Easy Peasy To please a crowd"
* We monitor all Crowdcast reviews to prevent fraudulent reviews and keep review quality high. We do not post reviews by company employees or direct competitors. Validated reviews require the user to submit a screenshot of the product containing their user ID, in order to verify a user is an actual user of the product. Hi there! 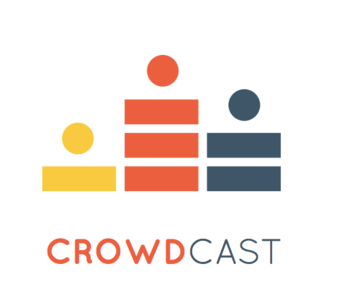 Are you looking to implement a solution like Crowdcast?